Australian junior driver Beau Russell missed the cut for the finals at the opening round of the 2018 CIK-FIA Karting Academy Trophy at Salbris, France, on the weekend. Russell qualified 44th (of 48) in the one-make Exprit/Vortex/LeCont category and was ranked 45th after heat results of 23-17-23. The final Qualifying Heats set the tone on Sunday morning, with the Finals completing the show on a hot and sunny afternoon, under the expert gaze of Felipe Massa, President of the CIK-FIA. The first Competition of the CIK-FIA European Championships for KZ & KZ2, as well as the CIK-FIA Karting Academy Trophy, fulfilled its promises at the Salbris International Circuit (FRA). The Frenchmen Jérémy Iglesias in KZ and Adrien Renaudin in KZ2, and the Spaniard Jose Maria Navalon Boya in the Academy, received the highest honours on the podium in their respective categories as well as taking the lead of the rankings. 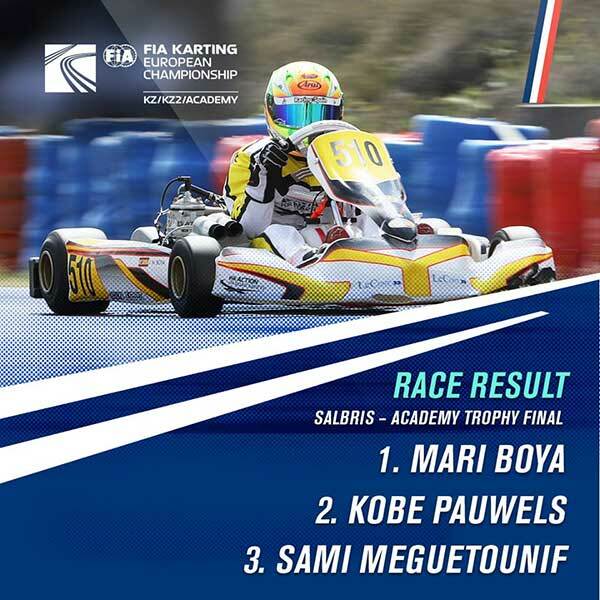 Bright and warm weather accompanied the three intense days of the French Kart Grand Prix, the second CIK-FIA Competition of the 2018 season. The last Qualifying Heats contested on Sunday morning decided the names and positions of the 34 finalists in each category before the fight for victory reached its apogee during exciting races, full of dramatic twists. The poleman Jorrit Pex (NLD – CRG / TM Racing / LeCont) had confirmed his ascendancy in the CIK-FIA European KZ Championship by easily winning the third and final Qualifying Heat ahead of Fabian Federer (ITA – CRG / TM Racing / LeCont), and these two Drivers were on the front row of the Final starting grid ahead of Marco Ardigo (ITA – Tony Kart / Vortex / LeCont) and Pedro Hiltbrand (ESP – CRG / TM Racing / LeCont). Jorrit Pex started quickly ahead of the Final while Federer had hesitated slightly when the lights went out, blocking Ardigo in his tracks. 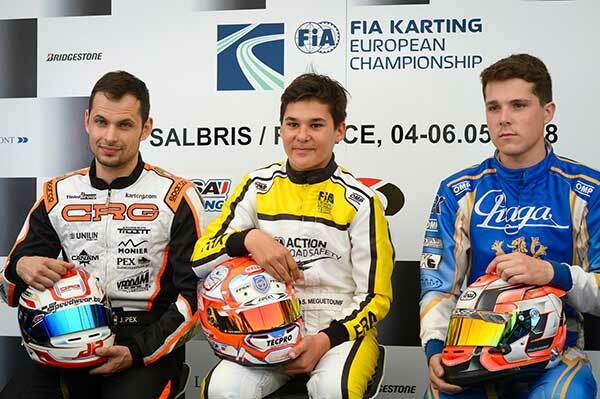 Jérémy Iglesias (FRA – Formula K / TM Racing / LeCont) was now in 3rd place, then 2nd, while Federer dropped back and Ardigo came back at a brisk pace. Four laps from the finish, Hiltbrand retired with mechanical problems and Iglesias recovered the lead. He managed his lead perfectly and took an important victory. 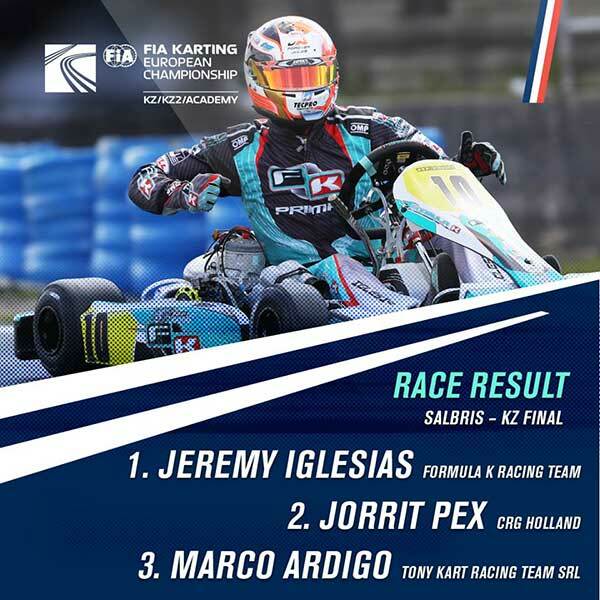 Jorrit Pex controlled Ardigo until the end for 2nd place, with Paolo De Conto (ITA – CRG / TM Racing / LeCont) finishing 4th and Anthony Abbasse (FRA – Sodi / TM Racing / LeCont) 5th. Iglesias leads the provisional classification of the Championship with 31 points, but Jorrit Pex (30 pts) follows him closely, with Ardigo (24 pts) in 3rd. In the last three Qualifying Heats of the CIK-FIA European KZ2 Championship on Sunday morning in Salbris, tyre strategy played a significant role. A clear performance gain was recorded among the Drivers who had put on their new tyres. 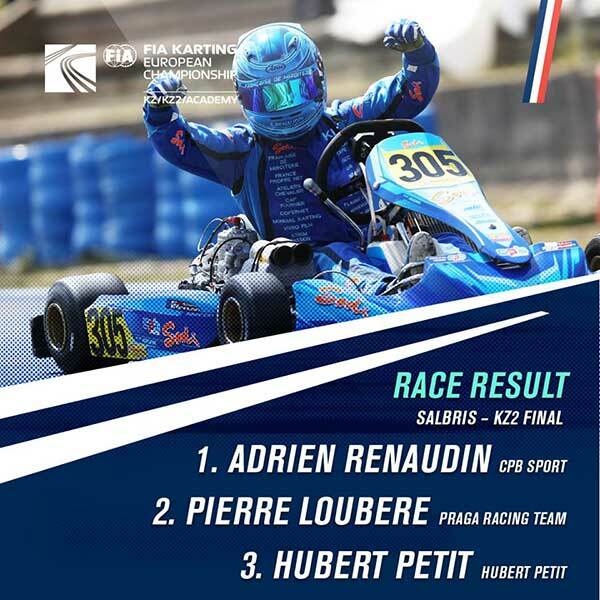 Adrien Renaudin (FRA – Sodi / TM Racing / LeCont) took the lead against Hubert Petit (FRA – Sodi / TM Racing / LeCont) and Giacomo Pollini (ITA – Formula K / TM Racing / LeCont). Paul Loubère (FRA – Praga / TM Racing / LeCont) sprang into 2nd place when the lights went out for the Final and began a long duel with Renaudin. Renaudin managed the situation perfectly and won at the end of the 21 laps, to add a new success to his CV after his victory in the last Final of the 2017 Championship in Sweden. Behind Renaudin, Loubère and Petit completed an entirely French podium. 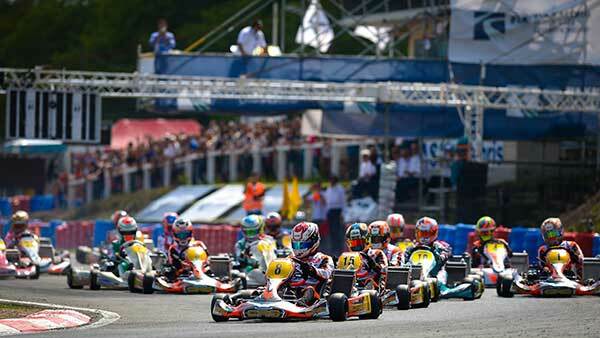 Alessio Piccini (ITA – Tony Kart / Vortex / LeCont) and Riccardo Longhi (ITA – Birel ART / TM / LeCont) completed the top five. Renaudin is therefore in 1st place in the provisional classification of the Championship with 35 points, followed by Loubère (27 pts) and Petit (25 pts). The CIK-FIA Karting Academy Trophy Final was without a doubt the most thrilling Race of the Salbris Competition. Kobe Pauwels (BEL) was in pole position after his flawless run in the Qualifying Heats. Jose Maria Navalon Boya (ESP) had to face Sami Meguetounif (FRA) to take 2nd place before he could threaten the leader. Craig Tanic (FRA) joined the battle for the lead and positions changed in a flash. Pauwels however took the lead before finally being dislodged on the next lap by Navalon Boya, who was heading for victory without hesitation. He finished his run, winning 7 tenths ahead of Pauwels. Meguetounif managed to finish 3rd after a few setbacks, followed by Rimmo Kadapik (RUS) and Joshua Rattican (GBR). Navalon Boya took the lead of the provisional classification of the 2018 Academy Trophy with 34 points, ahead of Pauwels (30 pts) and Meguetounif (24 pts). The CIK-FIA European Championships for KZ & KZ2 will have their outcome at the circuit of Lonato (ITA) from 13th to 15th July 2018, at the same time as the second of the three Competitions of the CIK-FIA Karting Academy Trophy.